The Royal Enfield Interceptor 650 and Continental GT 650 come in three variants - Standard, Classic and Custom. The bikes have been launched at a starting price of Rs. 2.50 Lakh for the Interceptor and Rs. 2.65 lakh from the Continental GT. 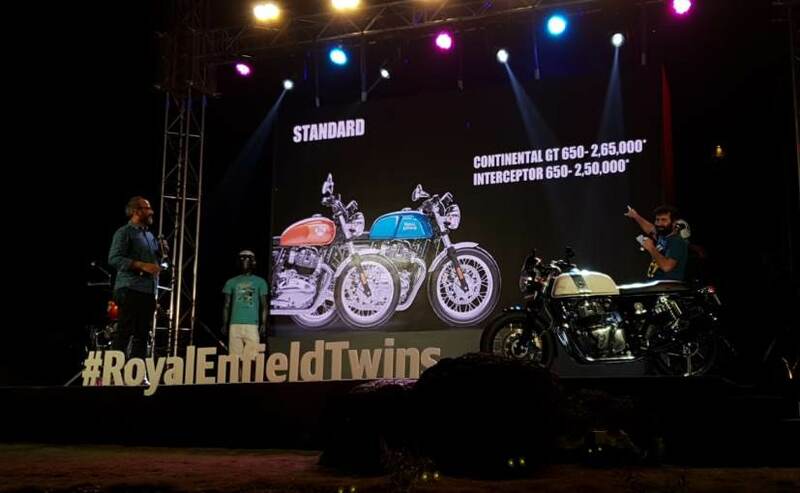 Royal Enfield today officially launched the company's new 650 cc twins - Royal Enfield Interceptor 650 and Continental GT India. Introduced at a starting price of ₹ 2.50 Lakh for the Interceptor and ₹ 2.65 lakh from the Continental GT, both the bikes will be offered in three variants - Standard, Classic, and Custom. The top-of-the-line Custom variant of the Interceptor 650 is priced at 2.70 lakh which Continental GT 650 Custom is priced at ₹ 2.85 lakh (all prices ex-showroom, Goa). These prices have truly surpassed our expectations. In some states, the prices will start as low as ₹ 2.34 lakh (ex-showroom). Powering both the Royal Enfield Interceptor 650 and Continental GT 650 is a new 649 cc, air and oil cooled, parallel-twin engine that churns out 47 bhp at 7250 rpm and develops 52 Nm of peak torque at 5250 rpm. We have already ridden both the motorcycles and the engine is possibly the smoothest and most powerful Royal Enfield engine we have ever experienced. About 80 per cent of the torque is available from 2500 rpm and a flat torque curve results in ample power all the way till about 6000 rpm. Sending power to the rear wheels is a 6-speed gearbox that comes with a slipper clutch, for a lighter lever operation. The bikes are capable of speeds in excess of 160 kmph. 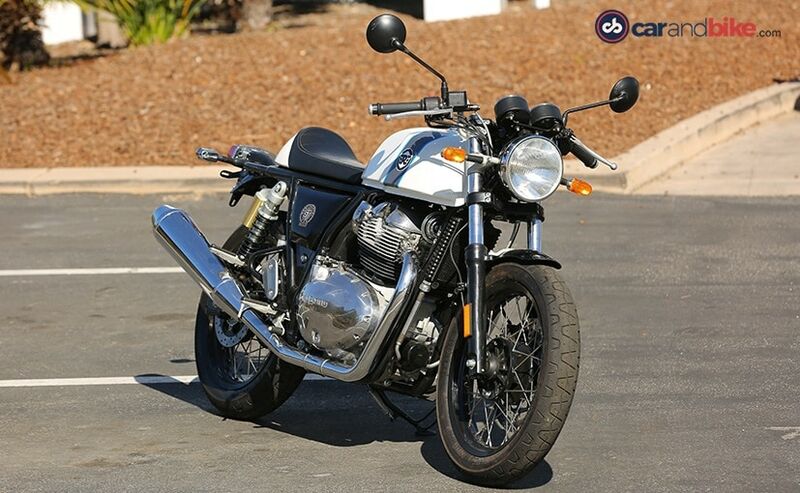 Visually, both the Royal Enfield 650 twins are designed based on the original motorcycles of 1960-70s. The bikes come with a retro flavour and use an all-new frame developed by RE subsidiary Harris Performance in the UK. Furthermore, the chassis of both the bikes have been optimised to offer excellent handling and superior comfort. In terms of dimensions, the bikes measure 1024 mm in height and have a ground clearance of 174 mm. 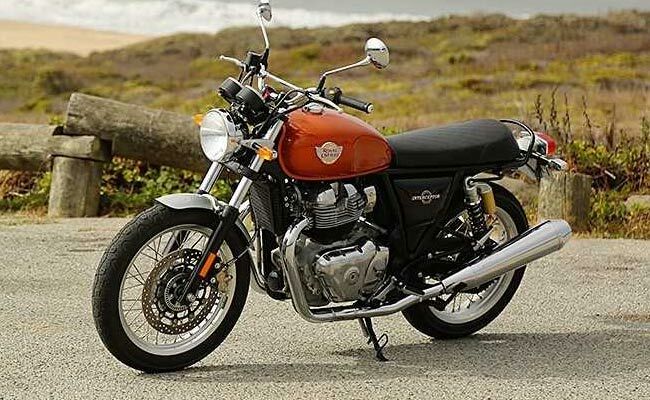 The Royal Enfield Continental GT 650 will have a fuel tank capacity of 12.5 litres, while the Interceptor 650's fuel tank will be slightly larger at 13.7 litres.